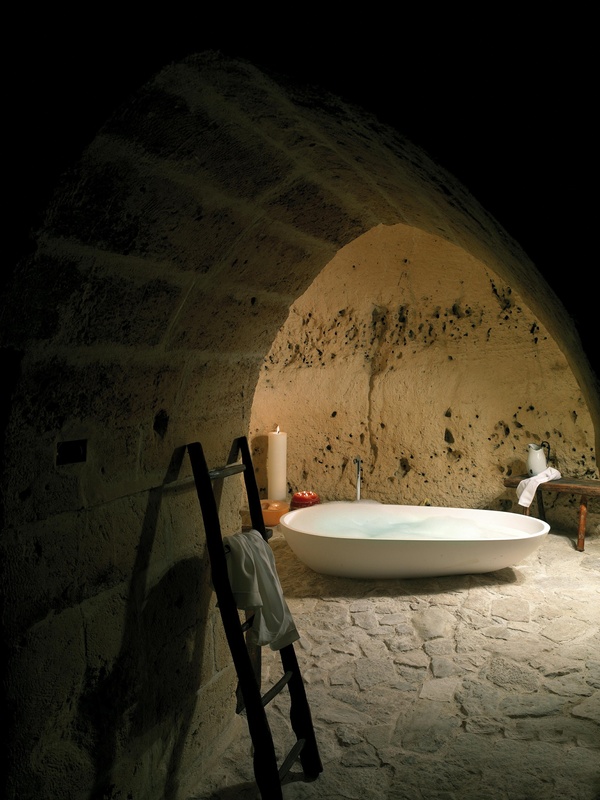 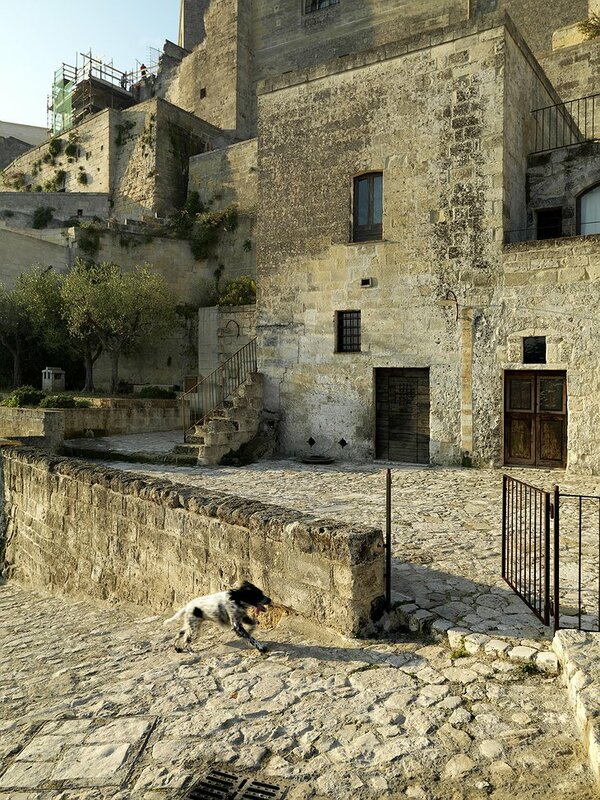 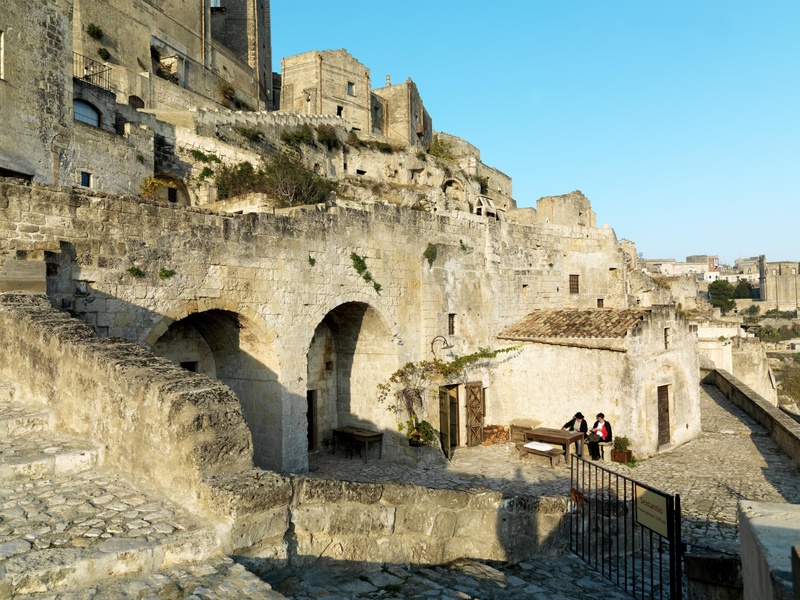 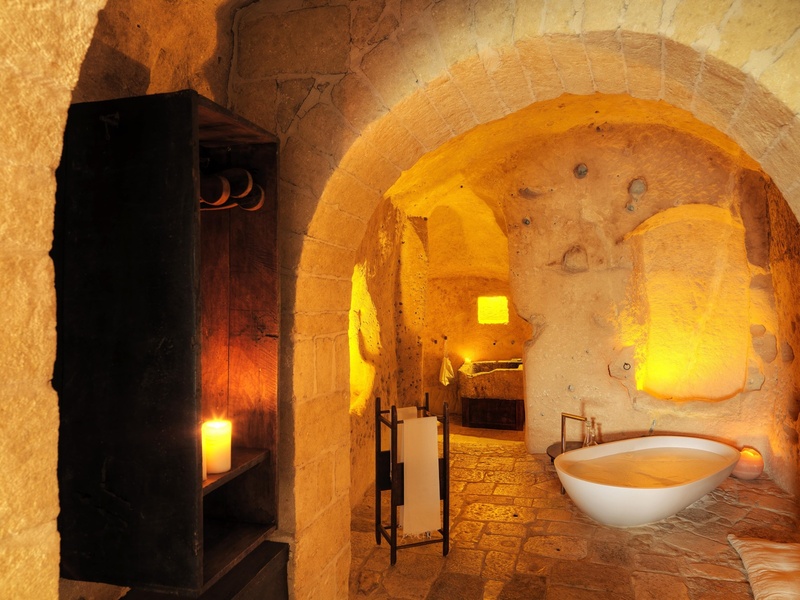 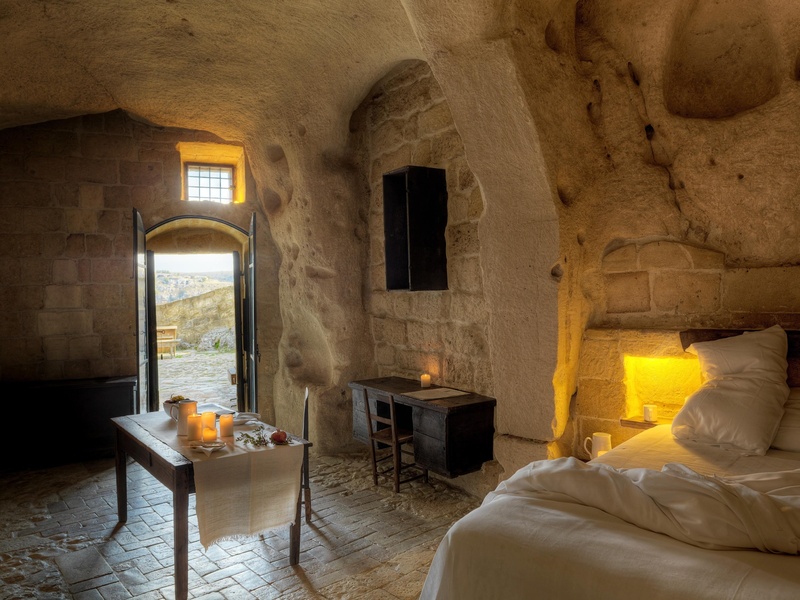 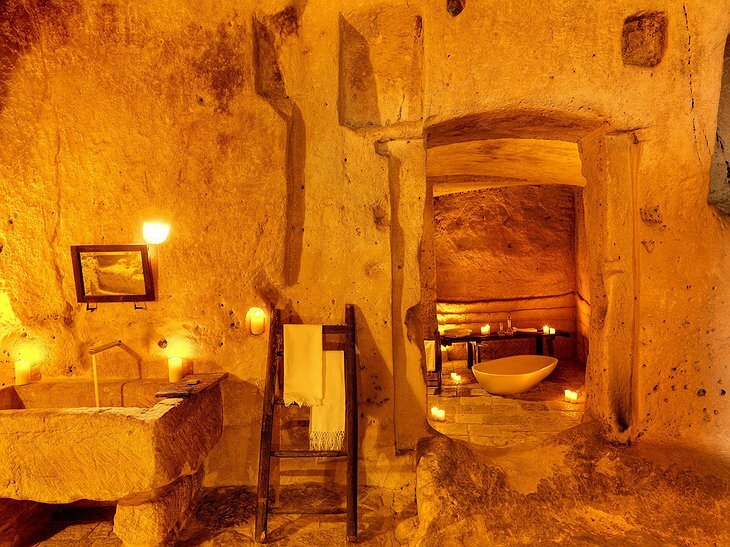 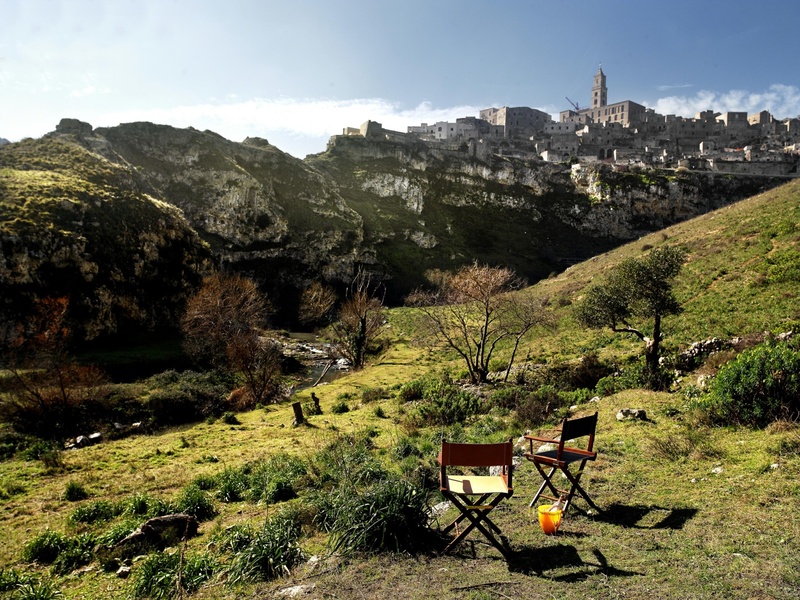 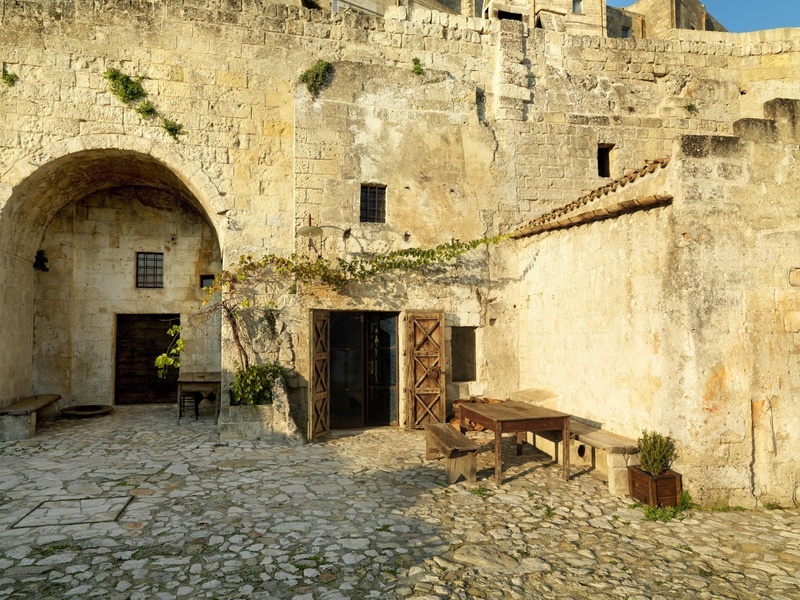 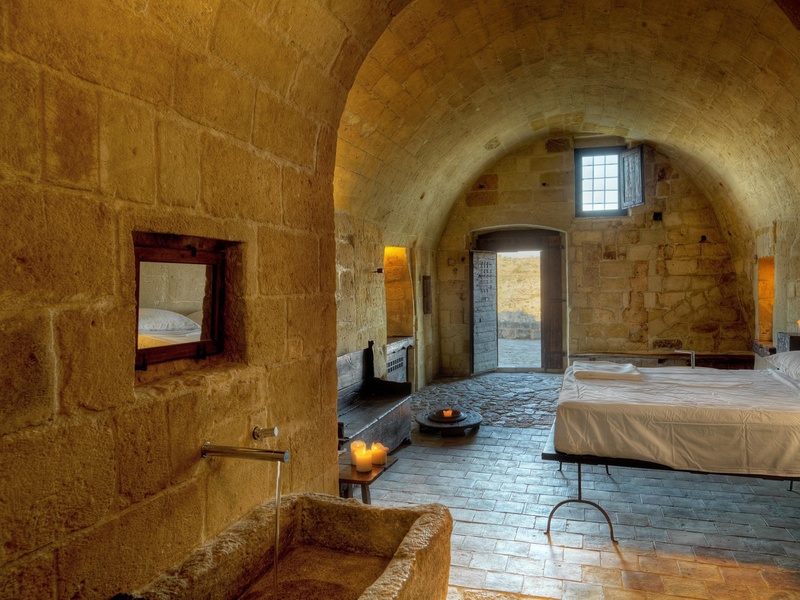 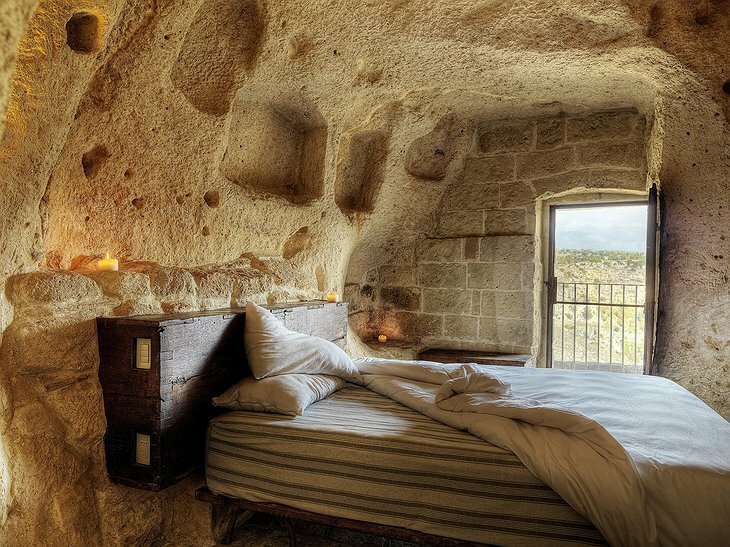 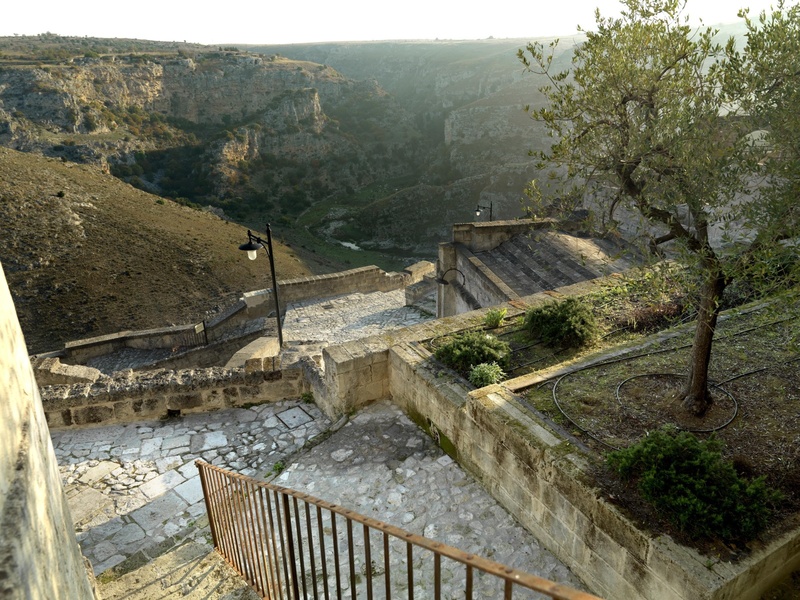 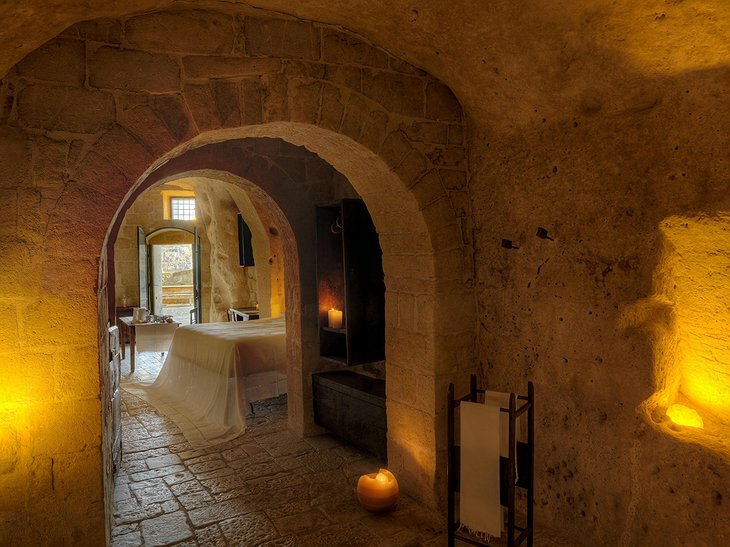 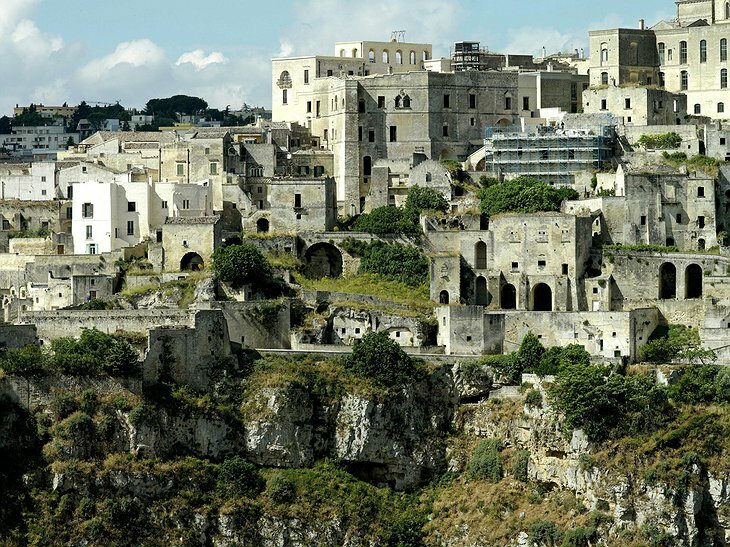 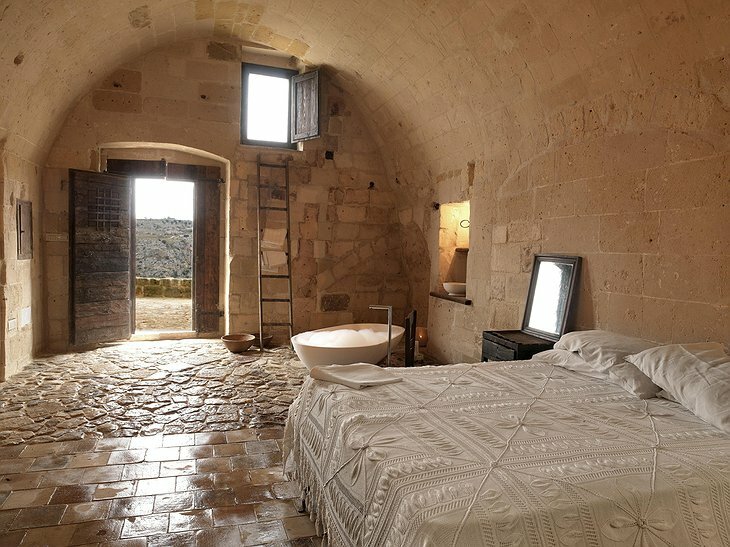 Located in the ancient city of Matera in Italy, this unique hotel is built into caves that once housed our ancient ancestors. 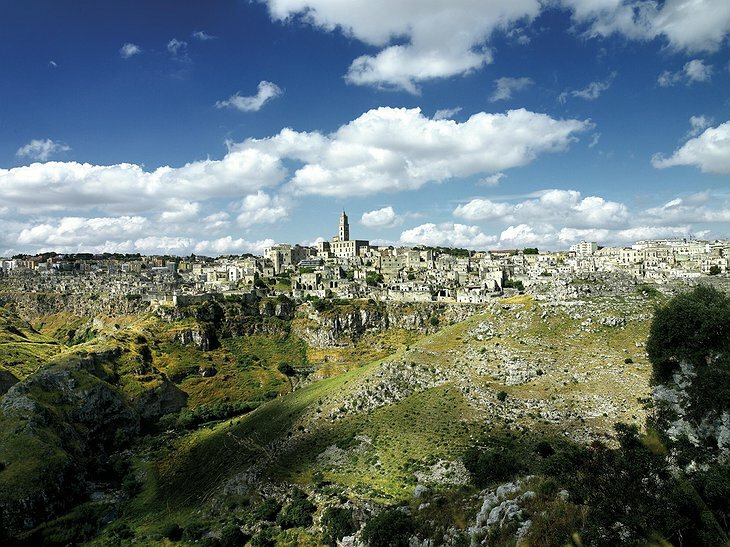 Populated for 9000 years the town was officially founded by the Romans in the third century BC. 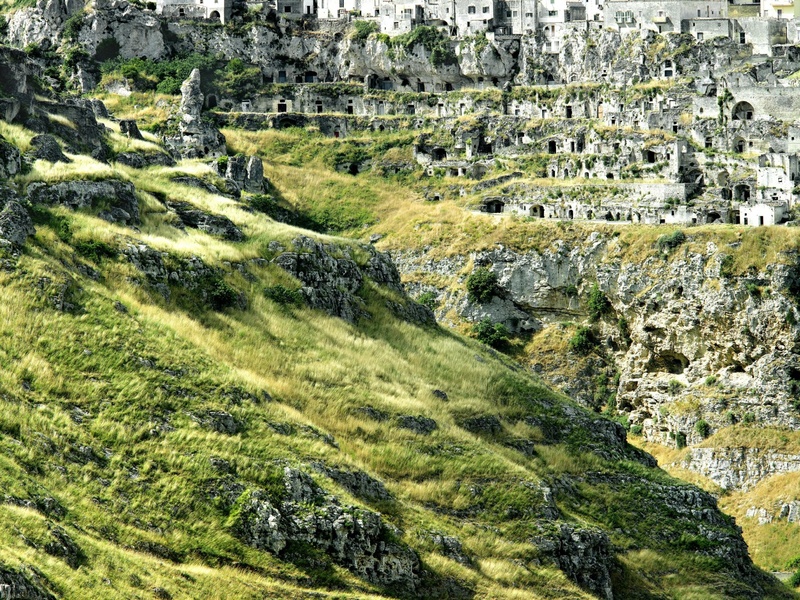 It has been consistently inhabited since and the caves were used by medieval monks and later peasant communities. 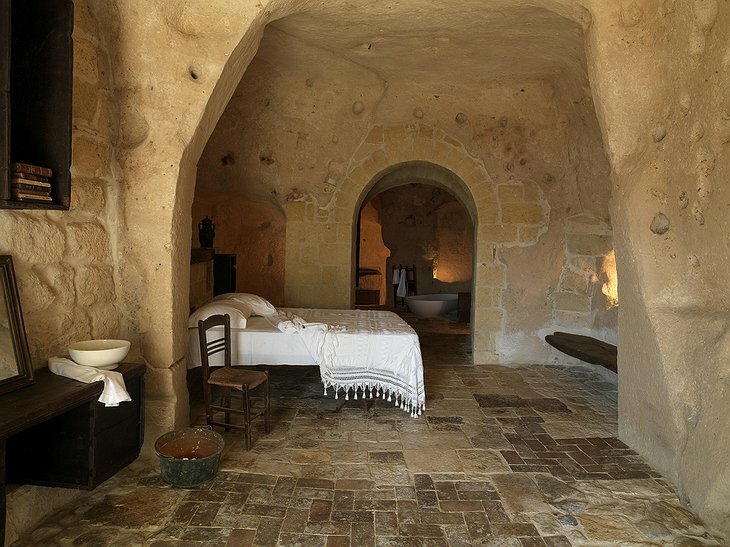 The hotel’s philosophy was not to disturb the special character of the cave dwellings and all the rooms are designed to have minimal impact on the location. 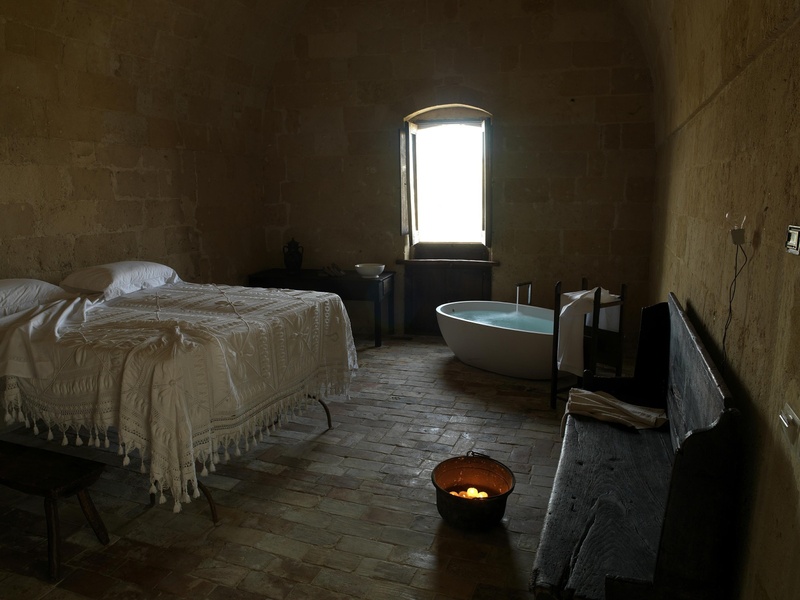 Freestanding beds, baths and furnishings have been chosen to have minimal impact on the UNESCO World Heritage Site. 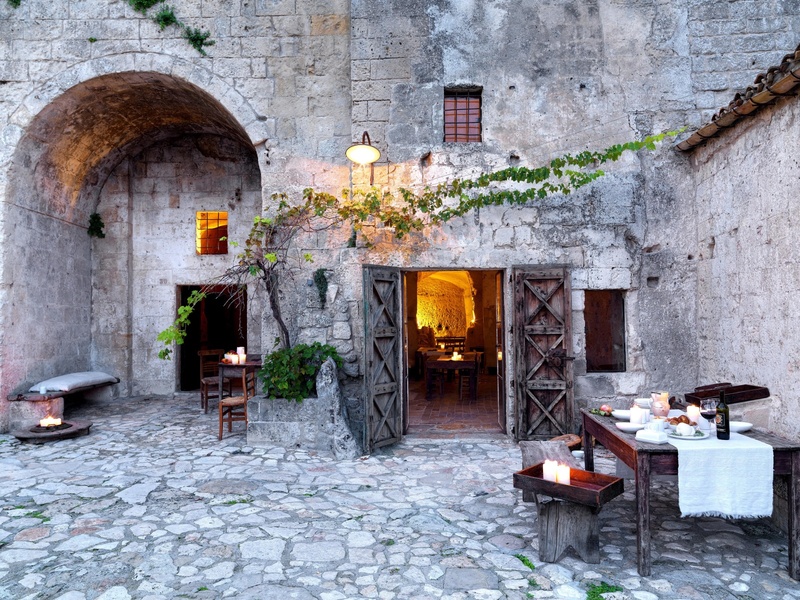 Breakfast is served in a former medieval church on a communal dining table similar to those used by the old monastic orders; the Mediterranean feast includes fresh bread, mozzarella, honey and yoghurt. 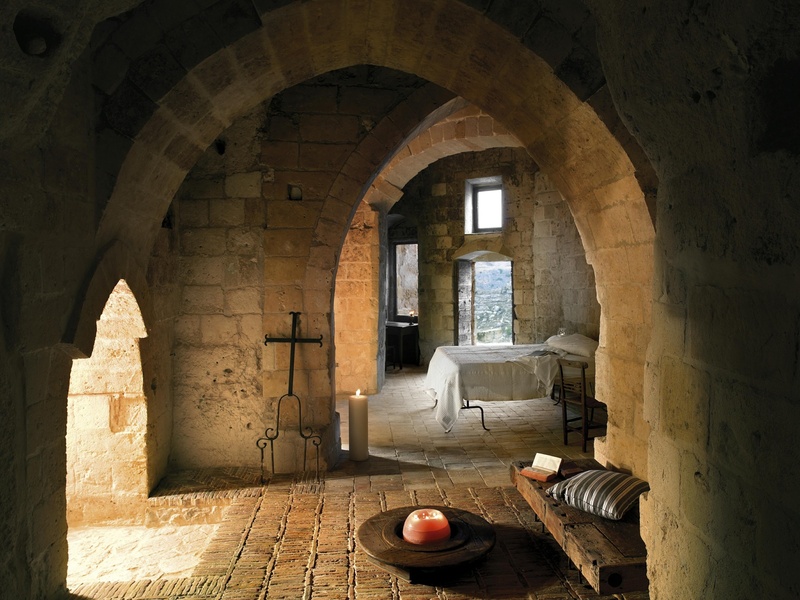 The local area is drenched in history and there are many sites to see such as Byzantine churches with explosive mosaics and the famous Tremonton Castle with its huge underground reservoir and vaulted ceiling. This ancient city will not fail to astound. 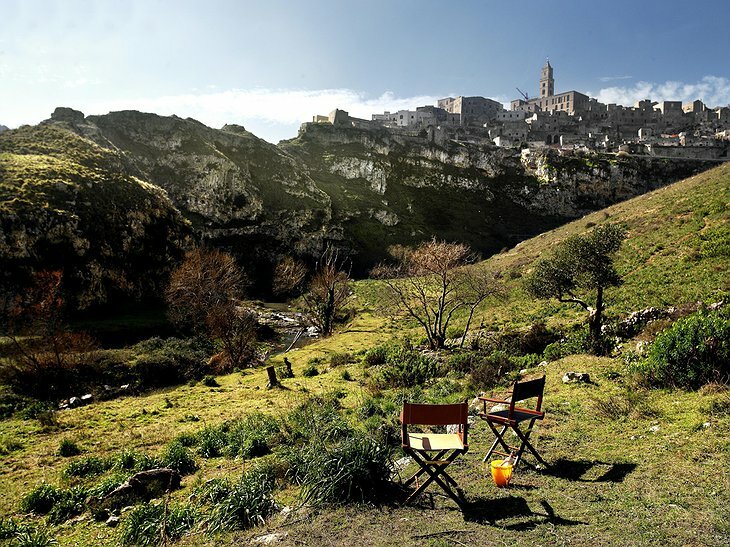 Wake up, it's time to dream... from nick morris on Vimeo.